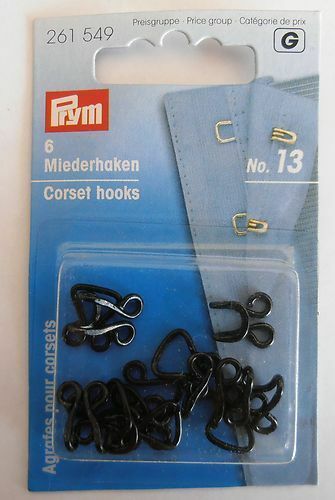 Suggested Uses - Fastening dresses, corsets etc. 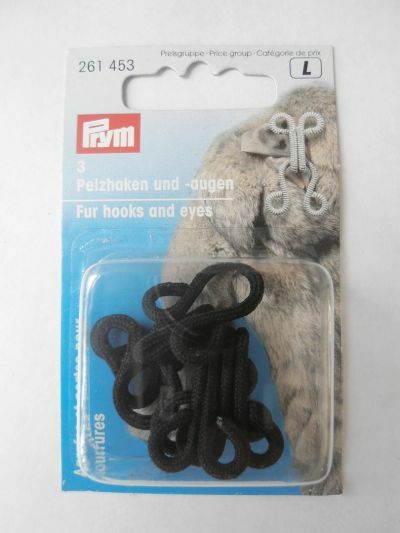 Easy to sew. Pack of 6. 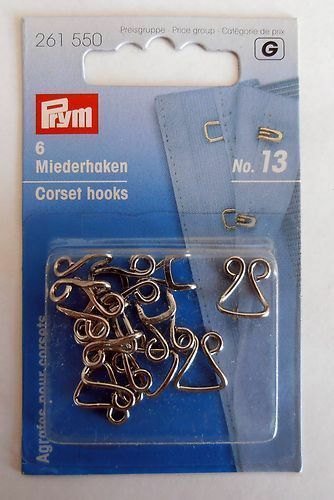 Sew on silver corset hooks. 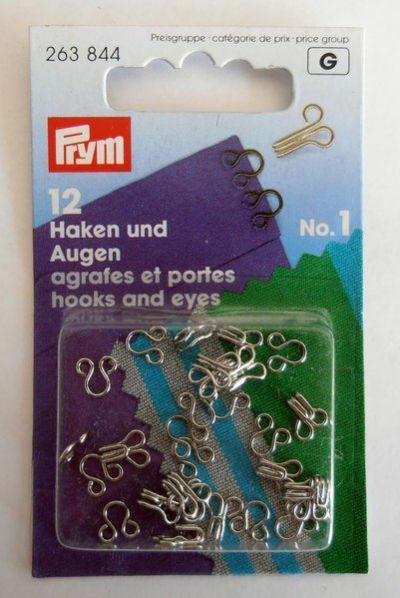 Pack of twelve high quality Prym sew-on hooks and eyes in silver. 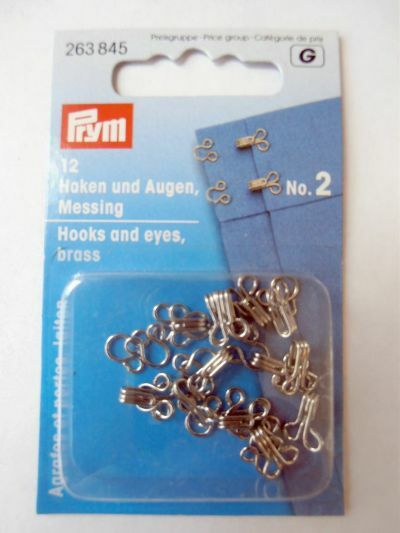 Prym Hooks & Eyes Brass Pack of 12 No 2. 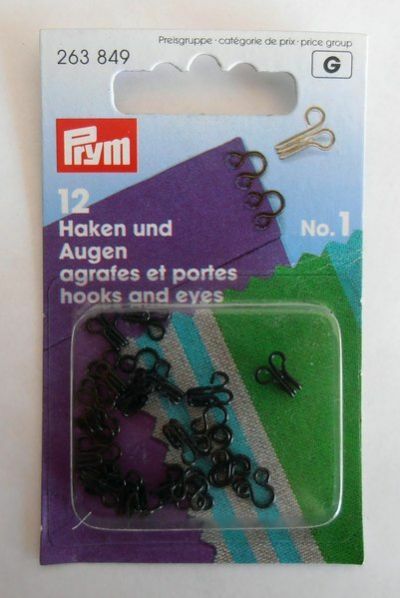 Pack of 12 high quality, easy to attach, sew on, black Prym hooks and eyes. 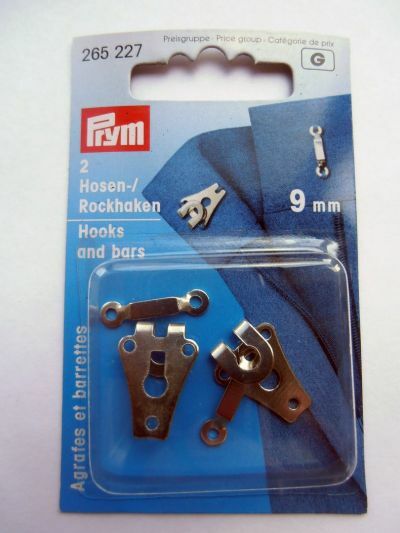 Prym Hooks & Bars Fasteners Pack of 2 9mm. 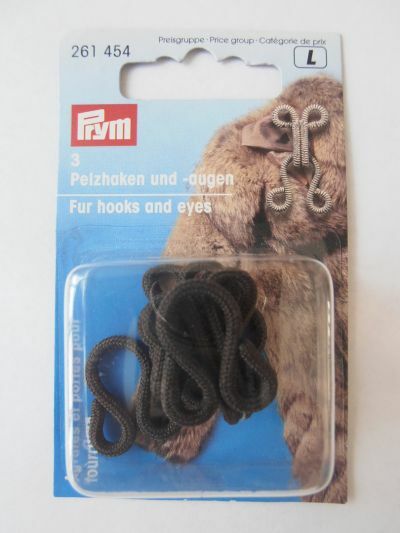 Pack of 3. 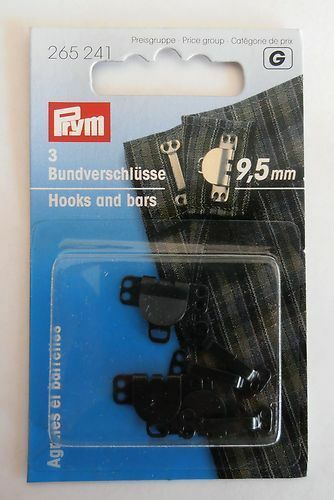 Suitable for fastening skirts, kilts, trousers etc.